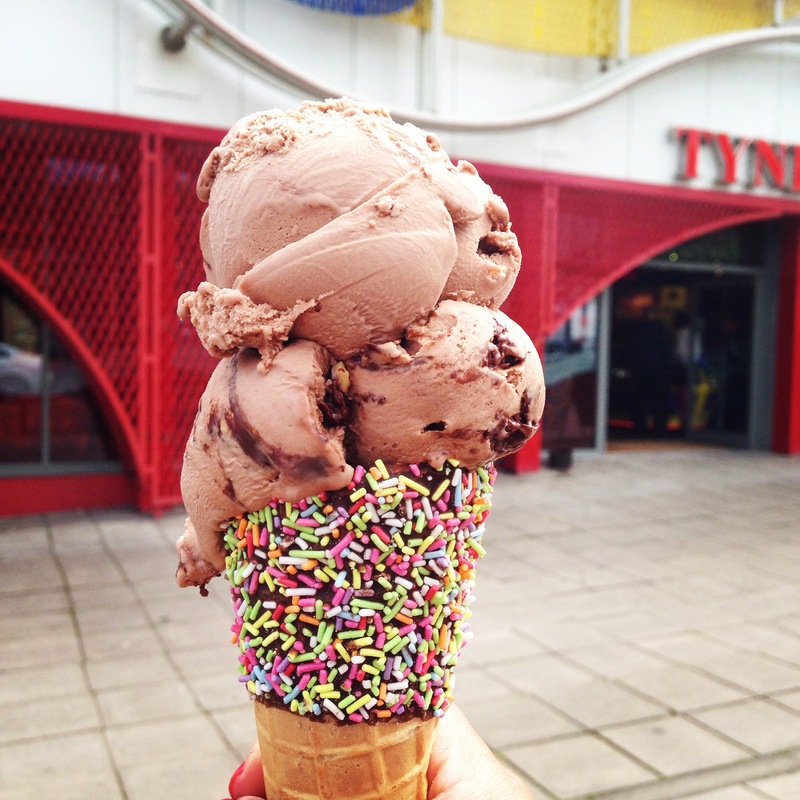 I love long weekends, especially those that involve sunshine, friends and ice-cream! The weather was actually pretty rubbish until today, but it’s still been lovely. We had friends visiting from London, who we haven’t seen in a few years… so we did some catching-up over good food at Dabbawal last night, and today we went to the coast and got ice-cream at Di Meo’s in Whitley Bay. The delightful item you see pictured here is one of their best selling flavours, Ferrero Rocher (ermm yes, FERRERO ROCHER) in a delicious sugar cone. Well played Di Meo’s. In fact, bravo! I’m a bit tired now, and have to do some rather mundane things like iron clothes for work (which will also involve some whinging on my part)… I’ll write more soon. Hope you’ve all had fun weekends, tell me what you got up to!